CONVENIENCE STORE INSIDE OF A DOWNTOWN BOSTON HIGH-RISE BUILDING, SERVING LOCKED IN CUSTOMERS, LOCATED BEYOND SECURITY LINE. VERY SAFE/STABLE BUSINESS. OPEN ONLY WEEKDAYS. BUILDING LANDLORD WILL PROVIDE RENOVATION. VERY LOW RENT. ABSOLUTE TURN KEY. Listing courtesy of Sungjong Park of Boston Investment Realty. Disclosures Non-Disclosure Agreement Required - Both Agent & Buyer. 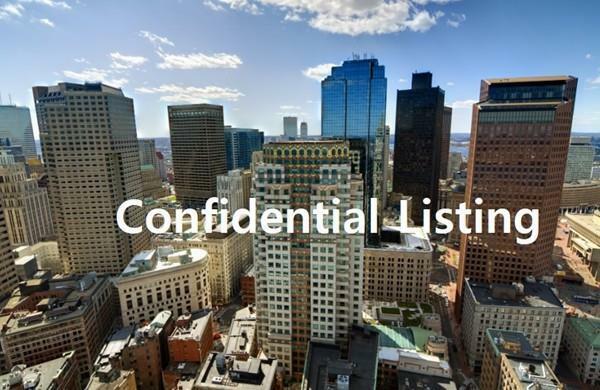 Listing provided courtesy of Sungjong Park of Boston Investment Realty.